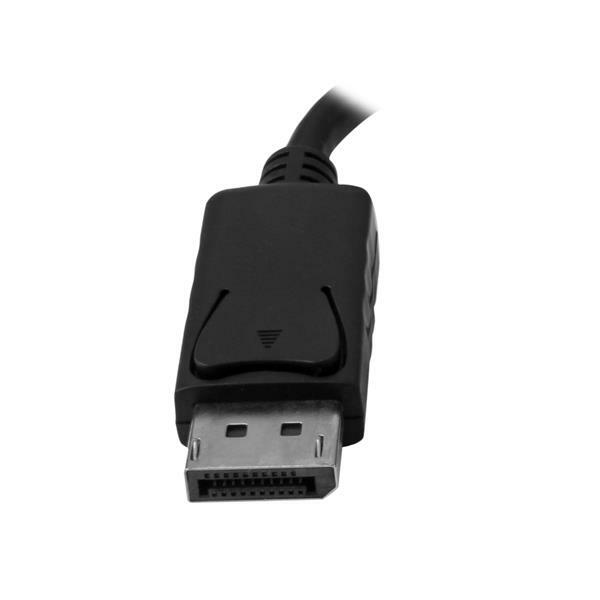 This DisplayPort to HDMI + VGA travel adapter lets you connect your DP enabled Ultrabook™ or laptop computer to any VGA or HDMI® display. 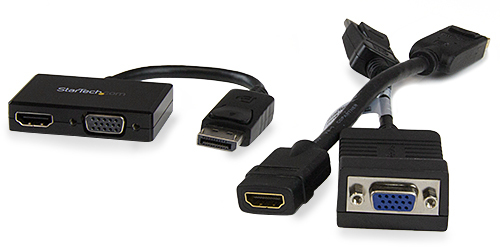 Why keep several adapters when you only need one? 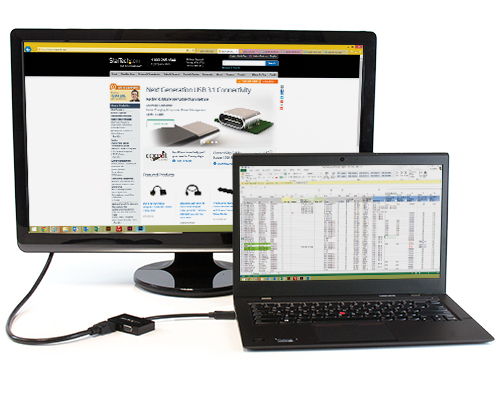 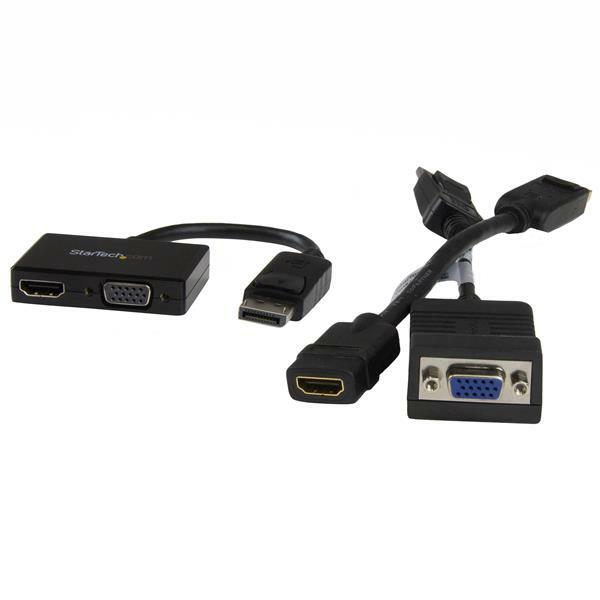 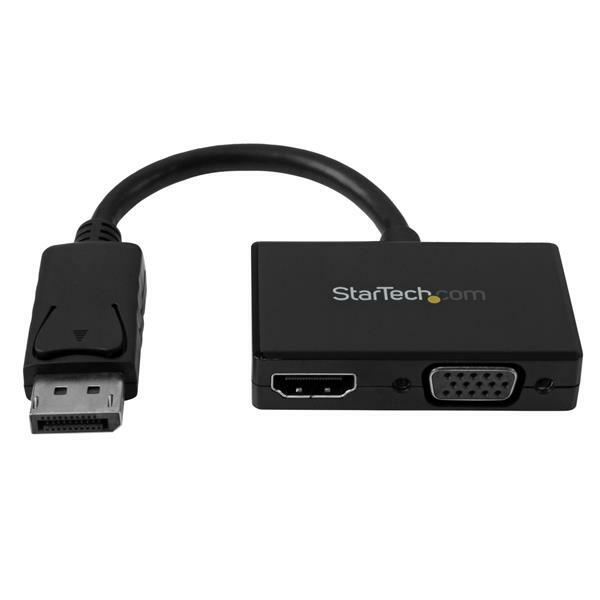 With this single DisplayPort tor VGA and HDMI adapter you can rest assured that your computer can interface with any modern boardroom or classroom display. 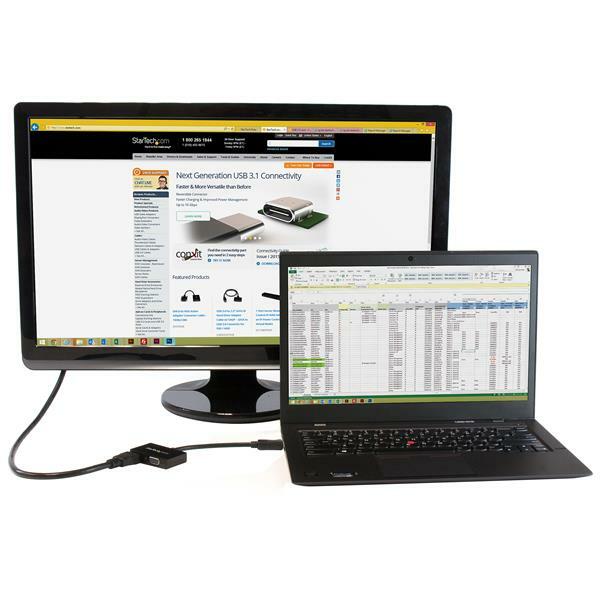 It’s the ideal plug-and-play solution for BYOD (Bring Your Own Device) applications at the office. 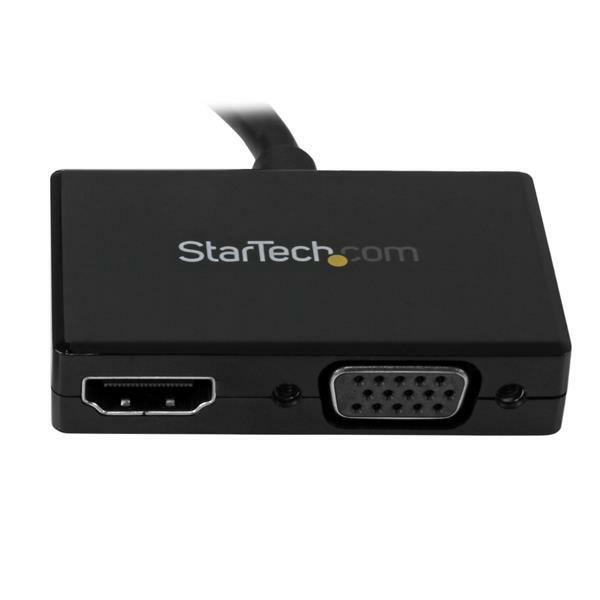 The StarTech.com DP2HDVGA is backed by a 3-year StarTech.com warranty and free lifetime technical support.